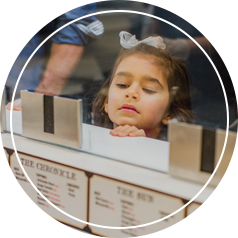 At The Pizza Press, we believe that everyone should have the freedom to pursue the story of a perfect pizza. That’s why our “Publish Your Own Pizza” movement has taken off so well — everyone wants to find that pie that delights their tastebuds at any given moment. While you can’t go wrong with a nice and easy cheese or pepperoni pizza, sometimes you need more. Sometimes you know that you’re not in the mood for a normal pizza but you aren’t sure what you should have. Luckily, we’ve got you covered. Our signature pizzas offer you the chance to find your next favorite pizza by combining the best sauces, cheeses, and toppings available! Each of our signature recipes is named after a famous American newspaper and gives you a unique taste that you won’t find anywhere else! 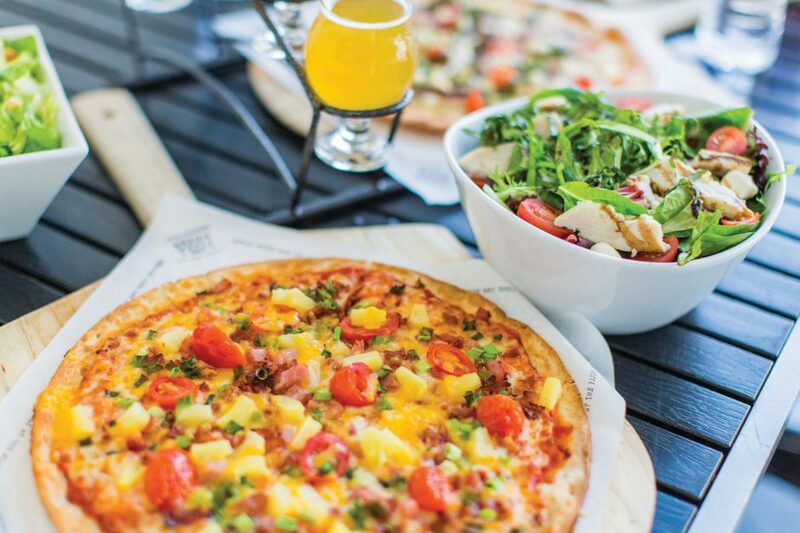 Read on to learn about three of our incredible pizzas and then check out our location page to find one of our pizza restaurants near you! 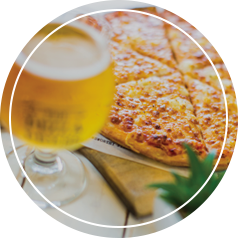 When you come to The Pizza Press, you’ll always find the best pizzas, salads, and a curated selection of the region’s tastiest craft beers waiting for you! If you want a pizza that is heavy on flavor but with a light, sweet finish, The Sun is the pie for you! We start with our traditional red sauce and mozzarella and then layer on our honey-smoked ham, bourbon bacon, and aged cheddar for a rich, deep, smoky flavor that on its own would make this a next level pizza. But we don’t stop there: instead, we add crisp scallions, grape tomatoes, and juicy, sweet pineapple! As you can see, even our traditional recipes make pizza newsworthy again! Our creamy white sauce is just the first part of the special grilled chicken pizza that we call The Herald. Our tender, flavor-packed chicken is reason enough to stop the presses but then we add some rich, savory, creamy ricotta, red onions for a snappy little sound (and flavor) bite, some fresh grape tomatoes, and crimini mushrooms to bring the flavor back down to earth. We add some freshly chopped basil on the top, pop it in the oven, and then let your taste buds run wild! Come back soon so you can learn more about our signature pizzas! Or, if you’re ready to run down a lead on the freshest, tastiest pizza around, come to one of our pizzerias today! 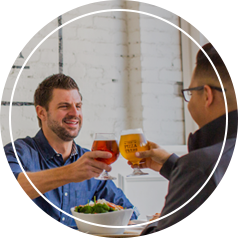 You’ll get to enjoy the finest pizzas, fresh salads, and a huge selection the best craft beers in the region. If you’re looking for an exciting new franchise pizza restaurant, get in touch today.